The Presidential aspirant, Professor Oluremi Sonaiya running on the platform of KOWA Party (KP), while stating the challenges alot of Nigerian women go through in rebuilding our Nation. According to her there are alot of women out there who have the vision in re shaping the future of Nigeria but are restricted because of Funds. 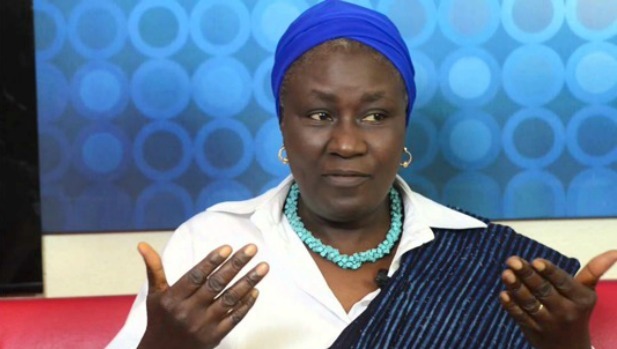 She Disclosed this in an interview on 'Political Arena' on Women Radio Wfm 91.7, She argued that Nigeria has been suffering from decades of bad governance and it needs a revamp but cannot be done with the same set of people in Government adding to the fact that 95% of the people in Government are Men. In the statement she highlights how credible Women in Politics are but lack proper fund to campaign and go all around like the men do. "Overall, we need to create a just and orderly society and perhaps, more importantly, we must create a culture of honest and dignified trust for our coming generations. "In conclusion, definitely, a lot of people would expect me promise to attend to the usual sectors like economy, infrastructure, health, corruption, etc. The fact is that those sectors will most likely fall in place by themselves based on the five areas identified to be focused upon. "Government's primary job is to create the right environment which would allow entrepreneurs and investors to thrive in their various areas of endeavour, not to compete with the private sector, micromanaging everything from secondary schools to roads to building railways and generating electricity. "The majority of Nigerians now believe that President Buhari should not be re-elected. We have performed that feat before in 2015 when Nigerians decided to vote out a sitting president. "So, the mission this time is not merely to repeat the same thing. We have to show that we can hold ourselves as citizens to the same standards that we hold our leaders. "Good leadership is invaluable but it will be ultimately unsuccessful if the followers themselves are unwilling to pay the price of change they wish to see in their leaders." Prof Sonaiya was KOWA's flag bearer in the 2015 presidential election that she lost to President Buhari, winning 13,076 votes, 0.05% of the total votes cast. To win KOWA's ticket again, she'll have to emerge victorious in the party's primary election against other aspirants including founding member, Dr Sina Fagbenro Byron, veteran Nollywood actor and scholar, Ayo Lijadu, and at least two others. According to KOWA's National Secretary, Mark Adebayo, the party is eager to choose its presidential flag bearer on August 18, 2018, the date the Independent National Electoral Commission (INEC) has scheduled for primary elections to commence. He also disclosed in February that presidential and governorship aspirants running on the platform of the party in the 2019 elections will be subjected to a written examination before they can contest.